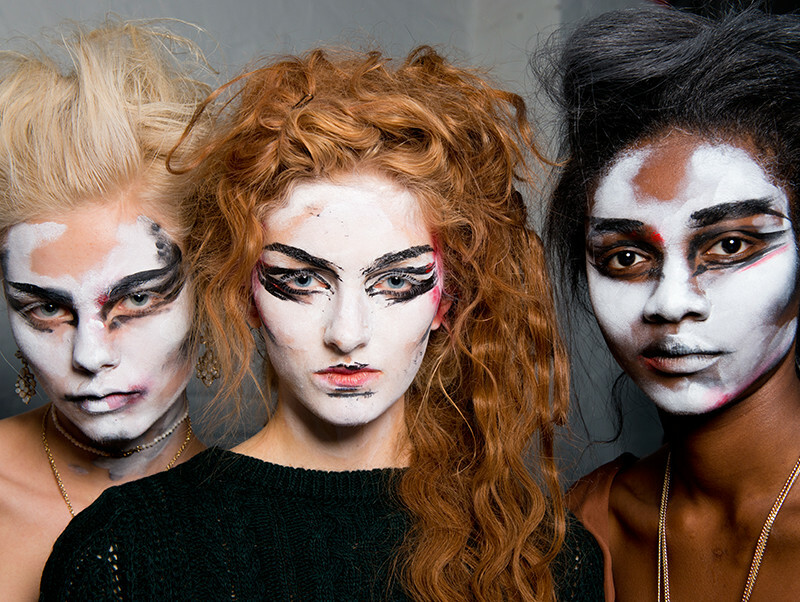 I was lucky enough to have the opportunity to cover backstage at all of the Toni&Guy Hair Wardrobe shows this season. Four huge shows, Four amazing hair looks created by the talented Mark Hampton, Toni&Guy Hair Meet Wardrobe Global Ambassador. The idea behind Toni&Guy Hair Wardrobe is that you're dressed from head to toe, with the outfit complimenting the hair perfectly and it all fitting together to create a over all look. All the shows I attended and did backstage for I felt Mark Hampton created looks that reflected the style of the designer showcasing as well as complimenting the garments. 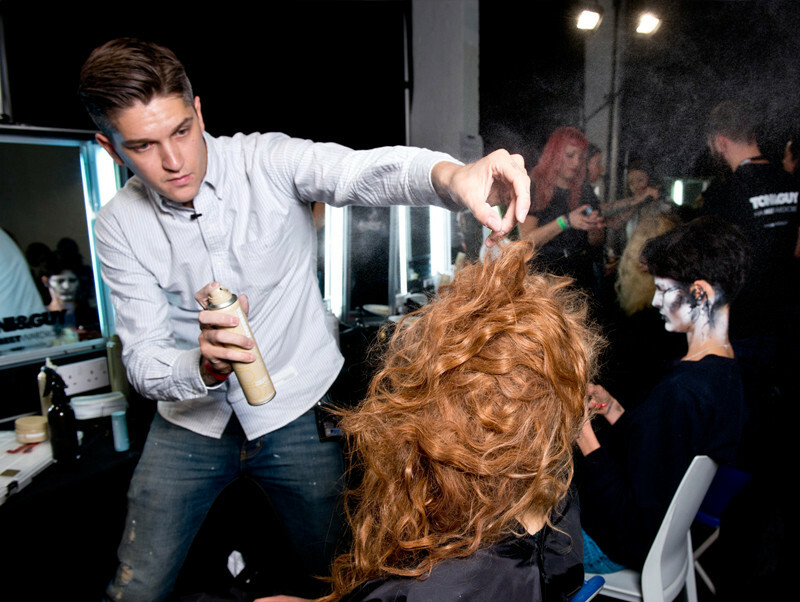 HOW-TO: Prep the hair with the Toni&Guy Hair Meet Wardrobe Prep Volume Plumping Mousse applied through the lengths. A centre parting was created and the hair pulled back behind the shoulders. Toni&Guy Hair Meet Wardrobe Creative Style Spray Wax was added in the lengths of the hair, sectioned and twisted to add texture. The hair was then dried with a diffuser to create movement. Before the hair is completely dry the hair was then pulled into a loose pony tail, sections are randomly rubbed together to create a undone look and then dried. The hair band was then removed just before showtime and finished with Toni&Guy Hair Meet Wardrobe Creative Extreme Hold Hairspray. 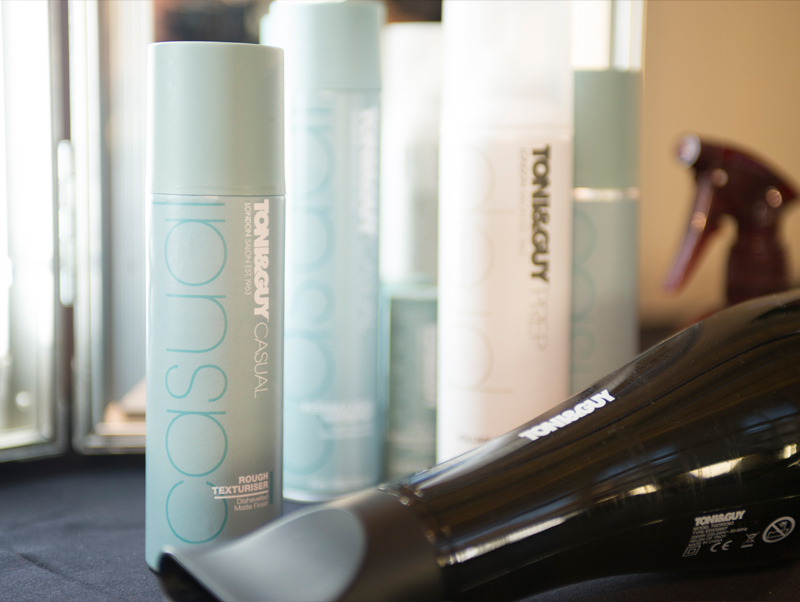 HOW-TO: The Toni&Guy Hair Meet Wardrobe Prep Heat Protection Mist is added to dry hair to protect from heat styling. 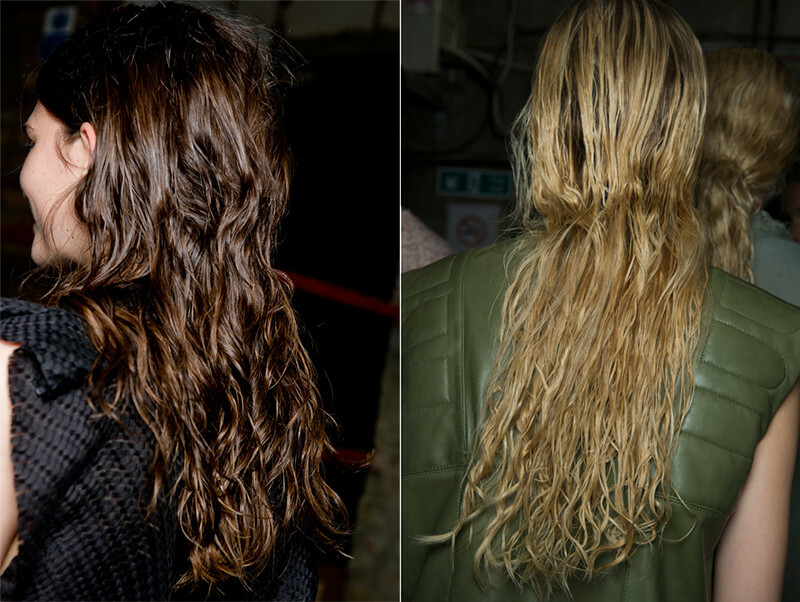 The hair was divided into sections and the Toni&Guy Hair Meet Wardrobe Deep Barrel Waver was used to create waves. The hair was then brushed pout and the Toni&Guy Hair Meet Wardrobe Glamour Plumping Whip is added to the roots to give volume and texture. The top sections are pinned up randomly and finished with the Toni&Guy Hair Meet Wardrobe Glamour Firm Hold Hairspray. HOW-TO: To create the 70's jet setter look Mark applied the Toni& Guy Meet Wardrobe Prep Smoothing Detangler to the hair to reduce frizz. Toni&Guy Hair Meet Wardrobe Glamour Volume Plumping Whip was added to the roots and lengths and blow dried. Hair was then tonged with the Glamour Jumbo tong. The hair was then parted on the side and teased for retro volume. The hair was finished with Toni&Guy Hair Meet Wardrobe Glamour Firm Hold Hairspray to hold the hair in place. THE LOOK: The idea behind this look was "sea shined" With a just got out the sea kind of look. Gorgeous hair swept into a ponytail. 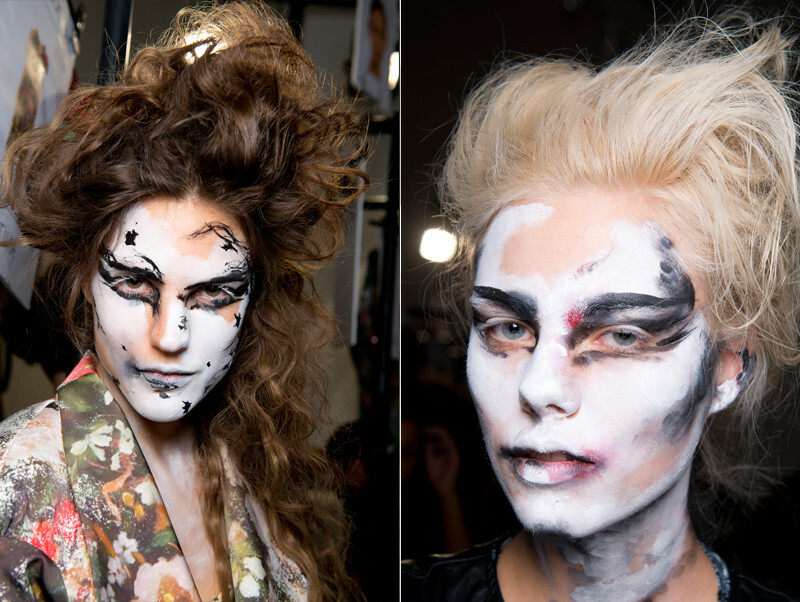 THE LOOK: The Claire Barrow girl has a 70's/80's going out style. With a airy natural looking movement with subtle volume at the roots. Blow dried in all directions. 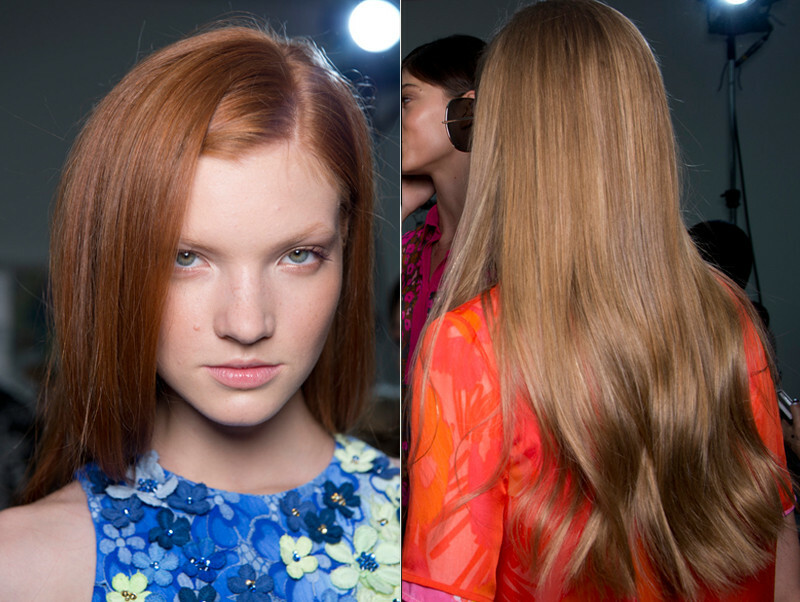 HOW-TO: Hair was prepped with Toni&Guy Hair Meet Wardrobe Prep Volume Plumping Mousse and rough dried. One inch sectioned were tonged with a wide barrelled tony to give a subtle wave. The hair is cooled and brushed out to give a soft wave. The Toni&Guy Hair Meet Wardrobe Casual Rough Texturiser is added to the roots to give instant lift. The look is finished with a few blasts from a hair dryer to create movement and finished with Toni&Guy Hair Meet Wardrobe Casual Flexible Hold Hairspray. 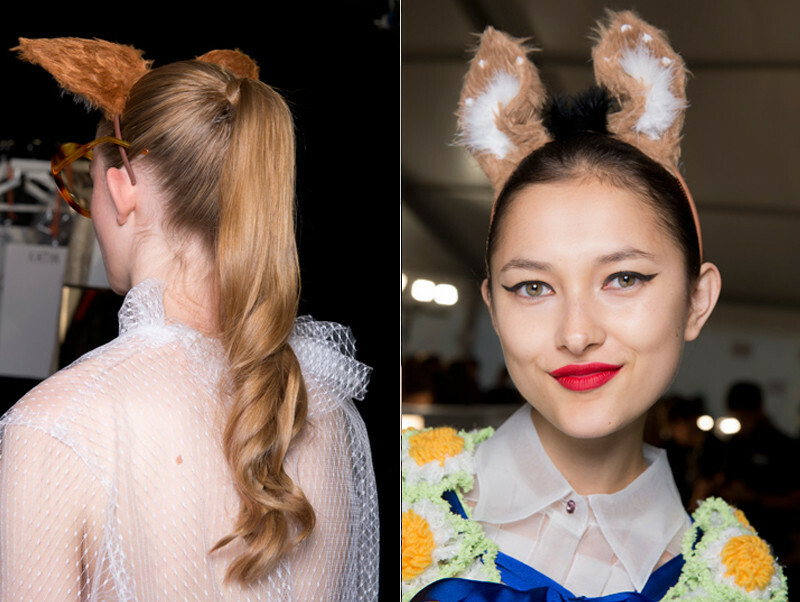 THE LOOK: The theme for the show was very fairytale, a ponytail perched high on top of the head. Twisted at the end to create a pigtail shape, soft voluminous with a cute bounce as the model walks. 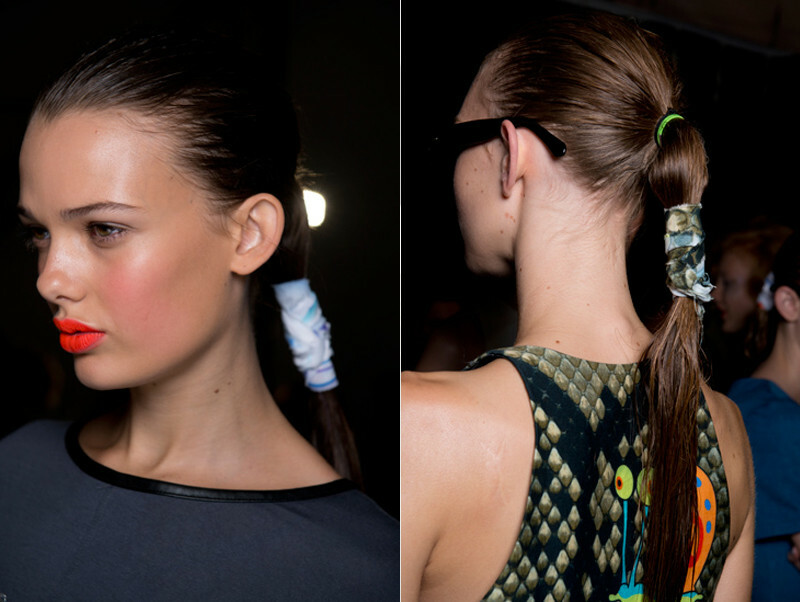 HOW-TO: The hair was teased at the roots to create texture and subtle volume, then smoothed into a high ponytail. The Toni&Guy Hair Meet Wardrobe Classic Wave Memoriser was added to the ponytail and blow dried to keep things fresh and bouncy. The hair was then tonged with the Toni&Guy Hair Meet Wardrobe Reverse Conical Wand to create a single defined curl. The hair was finished with a slick of the Toni&Guy Hair Meet Wardrobe Classic Shine Gloss Serum and finished with a light spray of the Toni&Guy Hair Meet Wardrobe Classic Medium Hold Hairspray.